You may have not even thought about buying a Christmas Tree yet, but when you do you might want to consider getting one from your nearest IKEA. They have a great offer on, buy a REAL Christmas Tree and they will give you a £20 Voucher. That means that technically the tree is only £5. This offer ran last year and it sold out in record time and we can see the same happening again this year. Don't worry about having to buy the tree any time soon... the offer doesn't start until 26th November. You have from the 26th November to the 23rd December to take advantage of this offer but don't be surprised if there are no trees come December as they sold out so fast because of this great offer last year. 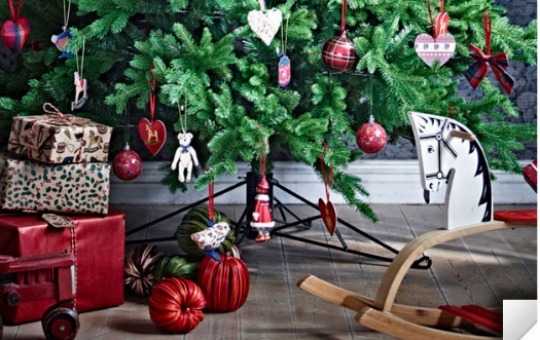 The £20 voucher you receive for your Christmas Tree purchase can only be spent in January 2016, so bear that in mind. Come January you are in Home Improvement mode so it's ideal. Offer not valid on Wembley and Norwich. For Croydon and Cardiff please refer to the local store web page.